Authentic NY Style Bagel / Delicatessen in Coral Springs, FL! 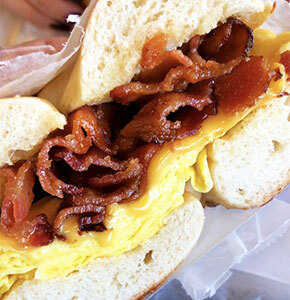 Over a dozen varieties of fresh, chewy, classic NY style bagels, bialys and flagels. Always ONE FREE bagel with every dozen!